We in San Fabiano, assume that all of you, the kosher keepers already know how much difficulty there is, in finding kosher food while on vacation in abroad. It can be definitely an exhausting experience. One option that’s stand open for you, is to carry a kosher groceries from home in your suitcase. This may assure you of kosher food available in your vacation, but it is also complicated to load all this additional weight in your luggage and also it is less relevant in terms of consumption of hot and fresh food. Of course, this a solution is not relevant for ongoing trip that lasts a long time. Other acceptable solutions for keeping kosher lifestyle when staying abroad, is to seek for stores near the residence compound and to look for kosher groceries there. Last known way for kosher keepers to eat hot food in their vacation abroad is to seek over a Beit Chabad place or kosher restaurants. Because of the major difficulty in finding a kosher Groceries in stores abroad, this is the better convenient way for eating kosher out of Israel boarders. If you are planning to know the heart of the boot-land, i.e. the region of peaceful and amazing Tuscany, and desires to walkthrough its historic cities such as Siena and Florence or strolling into the beautiful and authentic villages like Montrigioni, then you are in the right place. This region is suitable for all ages that likes attractions such as strolling in spectacular nature, riding on horses, riding on bikes and much more. In San Fabiano We will do everything in order to make your staying in this charming region pleasant, and to save you from the worries and hassle of seeking kosher food during your holiday in Tuscany. In that manner you can spend more time in relaxing swimming in our outer pool, or playing with the kids in the compound playground. Our countryside Tuscan villas or Agriturismo San Fabiano, are housed in a beautiful rural area south of Siena named “Val D’arbia” and it is managed by a Jewish couple Florentine Count Filippo and Rachel. Many of our guests, are Jewish tourists from around the world, staying. Among the many services we offer to our guests- with much love, we can also provide a kosher room or suit. 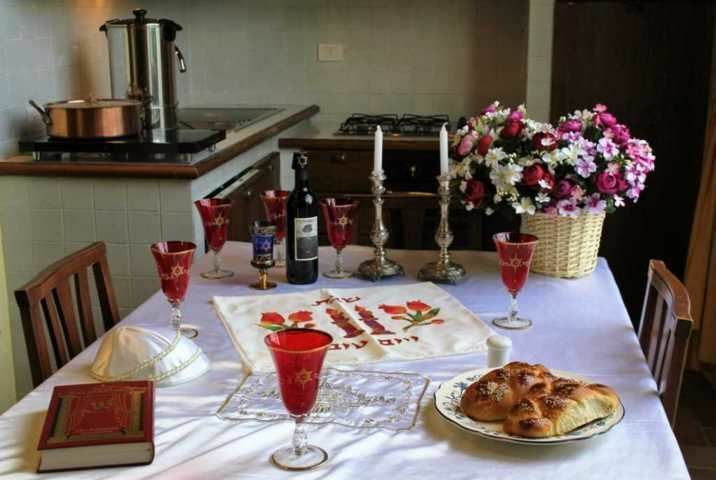 We are more than happy to provide a kosher villa in Tuscany, especially for you, with a range of solutions for ideally kosher vacation. this answer on two basic Issues, that concern every observant Jew that’s want a vacation: on the one side, the desire to relax and pampered in abroad and in the other side, maintaining their Permanent lifestyle. Our villas will be kosher at your request, in terms of equipment needed to stay here on weekdays and Saturdays. Just let us know in advance and we will equip the residence with everything you need for cooking and eating kosher: pots, dishes, silverware and Shabbat and Havdalah candles. The first service is supplying kosher products for you to prepare meals by your self. The second service is preparing you a complete kosher meal- tasty and filling that will arrive to your room. Note that the minimum diners required for this service is four.